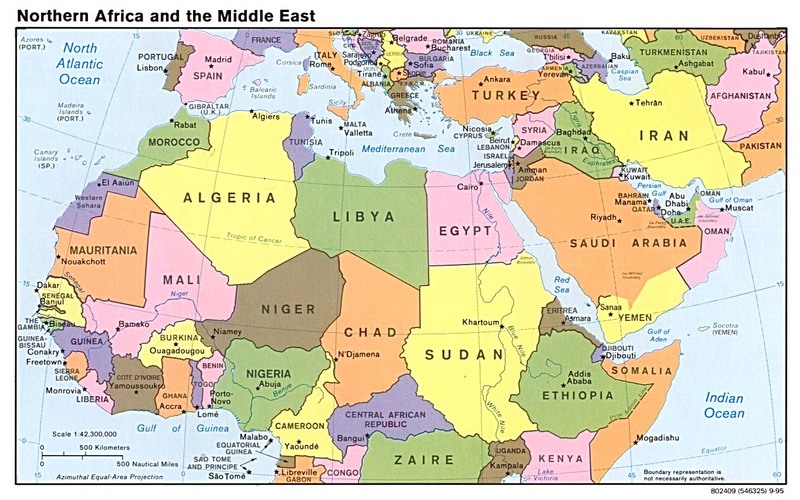 The geographical term Middle East refers collectively to Cyprus, Egypt, Iran, Iraq, Israel, Jordan, Kuwait, Lebanon, Saudi Arabia, Syria, Turkey, Yemen, and the states and emirates along the southern and eastern fringes of the Arabian Peninsula, namely, Bahrain, Oman, Qatar, and the United Arab Emirates. Not all of the countries in the Middle East are Arabic. Countries in the Middle East such as Cyprus, Iran, Israel, and Turkey, are not Arabic. They represent unique cultures and different language groups. As well, there are Arab countries that are not geographically part of the Middle East, but which are integral parts of the Arab World: Sudan and Djibouti in East Africa; and Libya, Tunisia, Algeria, Morocco, and Mauritania in North Africa. More than 200 million Arabs are spread through 21 countries. The Arabic language is the main symbol of cultural unity among these people. J&R Press has announced the 2014 launch of the West Asian Journal of Speech and Language Pathology (WAJSLP), where "West Asia" includes, Bahrain, Egypt, Iraq, Iran, Israel, Jordan, Kuwait, Lebanon, Oman, Qatar, Saudi, Syria, Turkey, the United Arab Emirates, and Yemen. The editors, Ghada Khattab, Reza Nilipour, and Seyhun Topbaş, and associate editor Martin Ball, are eager to receive manuscript submissions in English (see author guidelines) now. Send manuscripts to the publisher, Rachael Wilkie. There is currently no SLP/SLT work being undertaken in Comoros of which we are aware. If you know of any activity that would be helpful to include here please Caroline Bowen. There is currently no SLP/SLT work being undertaken in Djibouti of which we are aware. If you know of any activity that would be helpful to include here please Caroline Bowen. There is currently no SLP/SLT work being undertaken in Iraq of which we are aware. If you know of any activity that would be helpful to include here please Caroline Bowen. There are two university courses in Speech-Language Pathology in Lebanon and a newly formed professional association. SLPs work in diverse settings and are usually trilingual in Arabic, French and English. Thank you Dareen Fares for this information provided in August 2004. There is currently no SLP/SLT work being undertaken in Mauritania of which we are aware. If you know of any activity that would be helpful to include here please Caroline Bowen. Speech-Language Pathology in Morocco. Orthophonie: Rééducation et Développement au Maroc. There is currently no SLP/SLT work being undertaken in Somalia of which we are aware. If you know of any activity that would be helpful to include here please Caroline Bowen. There is currently no SLP/SLT work being undertaken in Sudan of which we are aware. If you know of any activity that would be helpful to include here please Caroline Bowen. There is currently no SLP/SLT work being undertaken in Syria of which we are aware. If you know of any activity that would be helpful to include here please Caroline Bowen. There is currently no SLP/SLT work being undertaken in Tunisia of which we are aware. If you know of any activity that would be helpful to include here please Caroline Bowen. "We offer speech-language therapy in both English and Arabic. We operate as a school for children with special needs in the mornings and offer out-patient appointments to the wider paediatric community in the afternoons. We have a strong early intervention programme. We operate on the northern hemisphere school calendar year and have school holidays. We are closed for all of July and August."